This is a Life-Coaching 5 week program. It was created for YOU to help you to Release, Clear, Balance your Life Challenges! 5 Levels, many useful tools, private Coaching and so much more! 5 weeks /once a week! Stay at home and stay connected with information, tools and others! 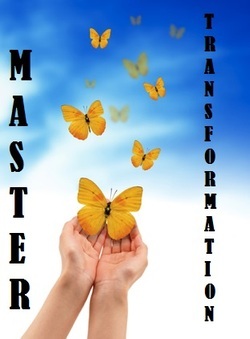 a MASTER of Self-Transformation, Master of your own Happy NEW Life! Create a positive and lasting change in your Life with intentions for your own Growth and Healing, Balancing and Transformation! Let go of the limiting beliefs, allow yourself to create a new, expend life in all areas. Clear the block that no longer serve you. NOW is a wonderful time to Focus on your own Self-Mastery. This 5 Level Program includes demonstrations - Power Points, Life-coaching sessions, hands-on practice, step-by-step explanations and walk-through, we will create Step-by-Step Program just for YOU. Experiential as well as informational, it is a wonderfully uplifting event. This on-line/distant Program can be done as fast as 5 weeks (or can be done on your own private paste in 2 or 3 months). LEVEL IV: Coming back to our Blocks: Release and Balancing..
LEVEL V: Private Coaching Session. HOW to Release your own inner struggles, truly accept yourself and learn about your inner personality and how you can truly step into the day-to-day reality you desire. Identify exactly what has been holding you back from reaching your goal, and create a new way to reach the life of your dreams. Learn useful and very practical tools to bring real change into your life, that will assist you to bring back your power and practice your Self-Mastery. How to cleans and clear your Physical/Energy/Emotional/Mental Body. Tools and supplements for Self-Clearing, step-by-step on each level. Does this Program sound too good to be true? YES! Fantastic discount for everything, will not last long! Each Level Original value is 150$, you price today will be only 50$. Private Coaching session and Follow Up Bonus! Total 5 Levels Value is 660$. You CAN Register today for only 199$! Pay for each Level, or pay for the whole Program! Or register just for the Coaching Private Session. This is a SPECIAL Offer, will not last long. Take ACTIONS NOW and Register! Program, please send us your information!